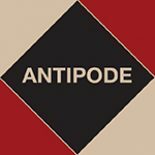 The Antipode Foundation has been supporting the biennial Institute for the Geographies of Justice since 2007, and all four IGJs have yielded brilliant resources for Antipode‘s readers. Now – following “What’s Just? Afterthoughts on the Summer Institute in the Geographies of Justice 2007”, “What Can We Do? The Challenge of Being New Academics in Neoliberal Universities” and “Gleaning the Current Conjuncture: Notes from the 3rd Antipode Institute for the Geographies of Justice” – we’re pleased to present an ambitious output from one of the sessions at the 4th Institute, “Doing Public Geography, Making Scholarship Public”. Two of the participants, Guillermo Delgado (University of Cape Town) and Victoria Habermehl (University of Leeds), have produced an intervention, which collates their colleagues’ experiences of being/becoming “public”. Through an innovative process of mapping, it identifies similarities and differences, strengths and weaknesses, difficulties and possibilities, and offers lessons on what both “doing public geography” and “making scholarship public” might mean today. You can read the intervention online here, or download a pdf. This entry was posted on 20 October 2014 by Antipode Editorial Office in Interventions and tagged action research, activism, co-enquiry, collaboration, cooperation, IGJ, impact, Institute for the Geographies of Justice, participatory research, praxis, public engagement, public geographies, public geography, public intellectuals, public scholarship, relevance, scholar-activism.